​Using the touchscreen (Or mouse if you're on PC), Avoid the Wasabi and feed Chunky Panda the sushi to save the town from the evil ninja star squad! Press S to mute sounds and vice versa on web version below. Classic Japanese style arcade style game featuring progressively harder game-play. The game objective is simple. 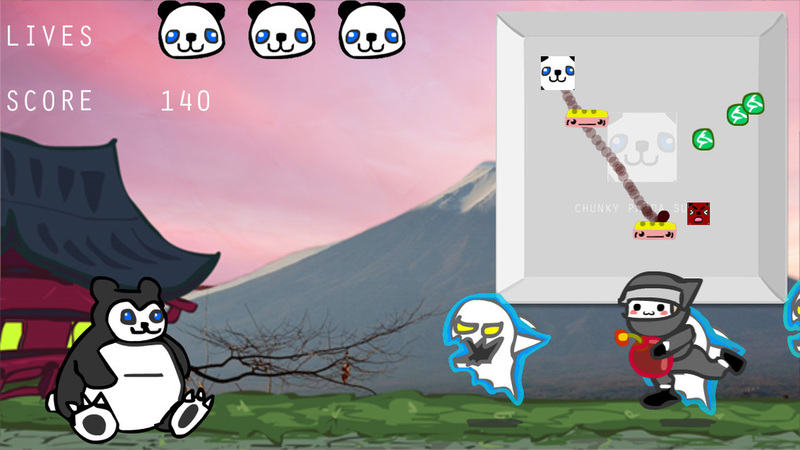 Save the town from the ninja attack, one problem, Chunky Panda will only do it for food! Navigate the plate to collect the Sushi and avoid the Wasabi.